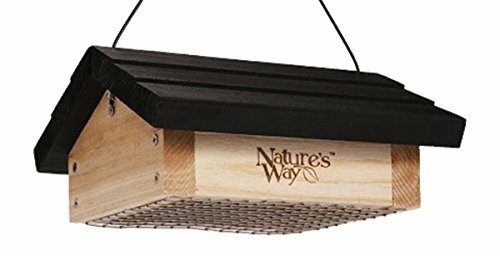 Nature’s Way Bird Products CWF2 Cedar – Suet Upside-Down Bird Feeder is ideal for clinging birds and woodpeckers. The design naturally eliminates all those nuisance birds like blackbirds and grackles since they won’t hang upside down to eat. The premium cedar is naturally insect and rot resistant. All hardware is rust-free and includes a 5 year warranty. At Nature’s Way Bird Products, we create distinctively advanced bird products. Our innovative design technology is combined with superior quality for ease-of-use and long-lasting durability.